Podcasts have become my new favorite way of consuming content. I spend at least an hour in the car each day, and it’s now my learning time thanks to the brilliance of podcasting. 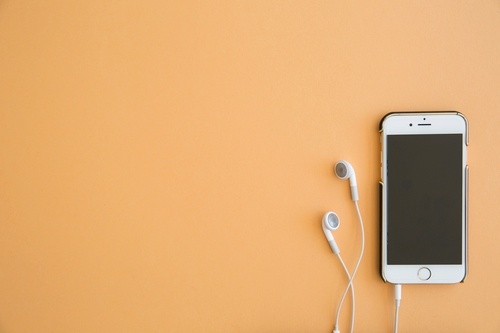 If you haven’t yet jumped on the podcast bandwagon, I’ve created a list of my favorite podcasts for ministry leaders to jump-start your listening. Cary is the founder and Teaching Pastor of Connexus Church, north of Toronto, Canada. He has interviewed ministry leaders including Andy Stanley, Perry Noble, Pete Wilson, and Kara Powell. Carey is one of the best interviewers I’ve ever heard. He asks thought-provoking and entertaining questions that challenges me to be a better leader. The episodes are typically 45 minutes to an hour. Learn more about Carey’s podcast here. Thom Rainer is the President and CEO of LifeWay Christian Resources. In his podcast, he and host Jonathan Howe discuss practical topics for every church leader including volunteers, programming, staffing, church revitalization, and more. They’re usually about 15-20 minute episodes and are released twice a week. Learn more about Rainer on Leadership here. David Burkus is an Associate Professor of Management at Oral Roberts University where he teaches on organizational behavior, creativity and innovation, and strategic leadership. He is also an author and the creator of Radio Free Leader, his podcast that shares insights on leadership, innovation, and strategy. While David’s podcast doesn’t feature ministry leaders like the others I’ve listed here, I highly recommend any leader subscribe. He combines academic philosophies with practical tips from thought leaders around the world in short 20-30 minute episodes. Learn more about Radio Free Leader here. Social Media Church is a podcast for conversations with church leaders about social media, web strategy, and online trends. Nils Smith is the Innovation Pastor at Community Bible Church, and Jay Kranda is the Online Pastor at Saddleback Church. They’re both doing awesome things for the Kingdom around the world using technology, so listen as they help you think creatively about engaging your church community online in 20-40 minute episodes. Learn more about Social Media Church here. On the 5 Leadership Questions, Todd and Barnabas ask church leaders five questions about different leadership topics. Their mission is to encourage leaders, share insights, and learn from other great leaders. The episodes range from 20-50 minutes in length. They’ve interviewed ministry leaders including Christine Cain, Lecrae, and Donald Miller. Learn more about the 5 Leadership Questions Podcast here. I admit, I’m biased about this one. One of my favorite parts about my job here at Vanderbloemen is hosting our Vanderbloemen Leadership Podcast where we talk about how to build, run, and keep a great team. William has interviewed ministry leaders including Dr. Ronnie Floyd, Tullian Tchividjian, and Dave Ramsey. The episodes are typically 20-30 minutes and are jam-packed with leadership wisdom. Learn more about the Vanderbloemen Leadership Podcast here. What podcasts are you listening to to sharpen your leadership skills?